Graphene, a form of carbon and the super-strong, ultra-light material discovered in 2004, enables flexible electronic components, enhances solar cell capacity, and promises to revolutionise batteries. Now scientists have added one more use to this list. 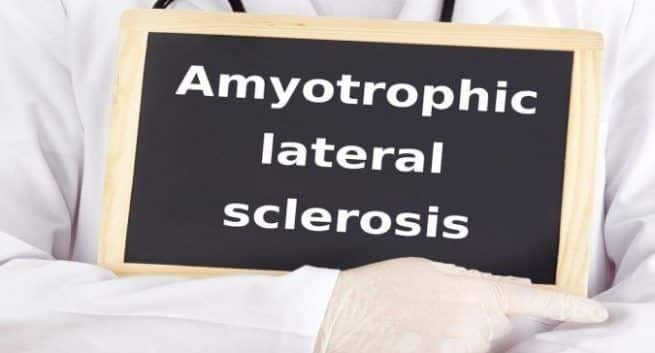 They have found a potential new application of this wonder material for detecting Amyotrophic Lateral Sclerosis (ALS). a progressive brain disorder for which there is currently “no objective diagnostic test”. This novel use is described in the scientific journal Applied Materials & Interfaces of the American Chemical Society. ALS is characterised by rapid loss of motor neurons controlling skeletal muscles, leading to paralysis. “We have a new exciting work on the application of graphene that may one day be used to test for ALS and other neurodegenerative diseases”, co-first author Bijentimala Keisham, a PhD candidate working under Vikas Berry, Associate Professor of Chemical Engineering at the University of Illinois in Chicago (UIC), told this correspondent in an email. Graphene consists of a single layer of carbon atoms arranged in a hexagonal lattice, each atom bound to its neighbours by chemical bonds. The elasticity of these bonds produces resonant vibrations, known as phonons. Graphene’s use to detect ALS exploits its ability to change these resonant vibrations in a very specific and quantifiable way when an extraneous molecule is introduced into the lattice says the report. The foreign molecule affects the vibrational energies of graphene and the changes can be “accurately mapped using Raman spectroscopy”, a technique commonly used in chemistry to provide a structural fingerprint by which molecules can be identified. In their study, the UIC team found a distinct change in the vibrational characteristics of graphene when Cerebro-Spinal Fluid (CSF) — found in the brain and the spinal cord — from patients with ALS was added to it. The researchers carried out the test using the CSF from 13 people with ALS; three people with multiple sclerosis (MS) and three people with an unknown neuro-degenerative disease. The authors, however, add this strategy does not analyze the Raman signal of the CSF but rather “looks at the change in the Raman signal from interfaced graphene”. “In summary, we demonstrate a robust system to investigate ALS by using graphene,” says the report. “The results suggest that our graphene platform can be used not only to potentially diagnose ALS, but also to monitor its progression and in the future, to study the efficacy of therapeutics,” it says. “Based on our analysis, it can be concluded that this ultrasensitive platform can efficaciously differentiate neurodegenerative diseases although the exact cause for these differences is beyond the scope of this study,” the authors conclude.